Date / Time: 2 shows on Sunday, December 18 at 7pm & 9:30pm. For Reservations: email tanya@tanyamoberly.com or call 646-637-2806. Julie was awarded the 2011 MAC Award for Major Artist by the Manhattan Association of Cabarets and Clubs. She is a 4 time MAC, 2 time Bistro award winner who has appeared in many of the top clubs in Manhattan. Her ability to connect to a lyric with unique interpretations has established her as one of New York¡¯s celebrated female vocalist. She is the first ever Nightlife Award recipient for Outstanding Female Vocalist (2003) and again in 2005 and 2009 as a finalist.In 2007 Julie was presented with the coveted Julie Wilson Award from the Mabel Mercer Foundation ¡°in joyful gratitude for the vocal majesty and lyrical interpretation she continually manifests in her classic presentations of the Great Popular Songbook. On the theatre stage, Julie has been featured in the Broadway by the Year series at the famed New York Town Hall. Highlighted in both the “Broadway Musicals of 1940 and 1965,” Julie costarred with some of Broadway’s best. She has been featured in numerous Cabaret Conventions sponsored by The Mabel Mercer Foundation. Most recently at Lincoln Center¡¯s Rose Theatre as well as in Chicago’s famed Park West. As a member of Actor’s Equity, Julie has performed Off-Broadway in new musicals, “I Prefer to Dream” at the Triad, “Character Breakdown” at Abington Theatre, “War Brides” at The York Theatre, “The Atrain Plays” at Neighborhood Playhouse, “Falsettos” for Storefront Theatre Company and in the award winning musical Africa & Plumbridge at the NY International Fringe Festival. Recordings include: The Broadway Musicals of 1940 (Bayview Records), Heaven Knows – Cast Recording, War Brides ¨C Cast Recording and her debut solo CD, Fate is Kind and Bistro Award winning recording, Live at Feinstein¡¯s(No Cover Records) and 8 Track Throwback (Cavern Records) with Marquee Five. Date / Time: 2 shows on Monday, February 20th at 7pm & 9:30pm. Carolann is a professional singer, actress and vocal technician/coach. She has been seen all over the United States as Marian in the first national tour of The Music Man and internationally as Maria in the European and Asian tours of West Side Story. Most recent credits include Beauty and the Beast (Belle) at Artpark, Sweeney Todd (Johanna) and West Side Story (Maria) at Sacramento Music Circus, A Little Night Music (Anne) at South Coast Repertory, Encore’s No, No Nanette at New York City Center, Thoroughly Modern Millie (Miss Dorothy) at The Cape Playhouse, Urinetown (Hope) at the Geva Theatre, Barnum (Jenny Lind) at Westchester Broadway, and Fiddler on the Roof (Hodel) at the Fulton Theatre. Carolann continues to reside in New York with her husband, actor Gerritt VanderMeer, and their beautiful son, Cooper James! For more information about Carolann: visit www.carolannmsanita.com. Date / Time: 2 shows on Thursday, October 24 at 7pm & 9:30pm. Performers will include Tom Anderson, Scott Coulter, Baby Jane Dexter, Tim Di Pasqua, Natalie Douglas, Terese Genecco, Daryl Glenn, Carolyn Montgomery, Shaynee Rainbolt, John Patrick Shutz, Marcus Simeone & Stacy Sullivan. Musical Direction by Mark Janas. Date / Time: Saturday, January 19 at 8pm. Wildflower in the City is filled with dazzling songs and down-home humor. This heartfelt cabaret, featuring singer/actress, Stephanie Weems, keeps audiences captivated with new visions of old favorites and whimsical reflections from Appalachia to the Big Apple. High spirited, light hearted and touching, “Wildflower” blossoms in NYC. 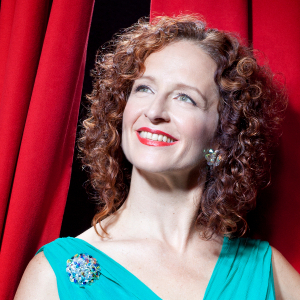 Stephanie Weems’ career is a unique blend of musical theater, drama and opera. Most recently on Broadway in the Eleventh Annual Broadway Cares/Equity Fights Aids Fundraising Concert at the Palace Theater, she appeared with Whoopi Goldberg and Sarah Jessica Parker. Other venues include, Lincoln Center’s Rose Theater, Papermill Playhouse, West Side Theater, Merkin Concert Hall, La MaMa & New Dramatist. With seven CD’s under her belt, recordings include the Sundance Festival Award Winning movie Trick, Kurt Vonnegut’s Stones,Time and Elements, David Friedman’s cast album of King Island Christmas and Desire Under the Elms with the London Philharmonia, produced by Thomas Z. Shepard. Francisco’s Society Cabaret at The Rex Hotel with the show in May of this year. posthumously published “Blossom Dearie Songbook” for Hal Leonard Music. Don’t Tell Mama-NYC. In May she will play San Francisco’s Society Cabaret. Maynard styles her show as a mid-Century modern NYC supper club act ala 1962.
fresh, hip, smart and sassy. Salon Presents Rob Davis in “Rob’s Big Birthday Celebration: Frank, Billie & Me” a tribute to the music of Frank Sinatra, Billie Holliday and the music they would have been singing if they’d met Rob before moving on. Singer, Songwriter, Philanthropist Rob Davis turned 70 on May 31st, and his two favorite vocalists, Frank Sinatra and Billie Holliday both would have turned 100 this year. To celebrate and pay tribute to his idols, Rob and his “Special Guest Artists” including the captivating Crystal Maldonado will be performing “Rob’s Big Birthday Celebration: Frank, Billie & Me” a tribute to the music of Frank Sinatra, Billie Holliday and the music they would have been singing if they’d met Rob before moving on. Purchase tickets for an exciting evening of the great standards popularized by Frank & Billie, plus terrific, original, future standards written by Rob himself. Proceeds of all shows will go the cause most dear to Rob, preventing child abuse and providing treatment to those who have been victimized. Included is Help For Children, the charity started by Rob in 1998 that is now a global force for good. Since inception HFC has donated more than $40million globally, through more than 1,000 grants. Help For Children, also known as Hedge Funds Care (HFC), an international charity whose sole mission is preventing child abuse & providing treatment to those who have been victimized. For more information, visit HFC.org.